PT! It’s good for you, it’s good for me! PT! Sitting up for the first time since surgery. Lily has had a busy day so far. 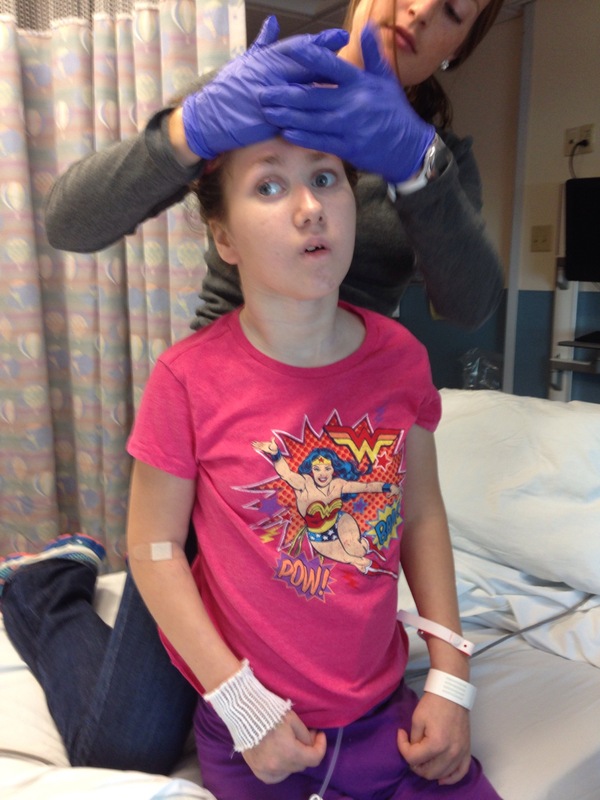 She sat up on the edge of her bed, got into her wheelchair and went for her initial PT and OT evaluations to get her “starting numbers”. After that we went downstairs to the therapy center and played a game of Spongebob Yahtzee and kicked a huge beach ball around. All before lunch! 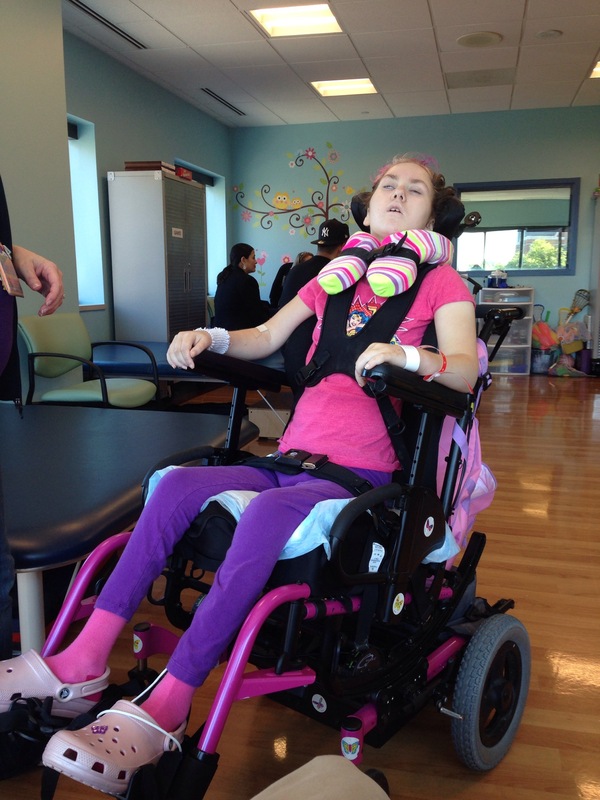 Because of their expertise with spinal injuries KKI has very specific protocols for dealing with patients like Lily. One of them is all transfers require 2 people, so instead of just doing a “Lily-up” we need two people to get her in and out of her wheelchair. Speaking of her wheelchair, Mr. Mike (as he is known) adjusted the back of her wheelchair to better fit her new height – we might need to make a few more tweaks but it looks a heck of a lot better than before. Previous Previous post: Room with a view. Wow! She looks so long. Love you both. May see you tomorrow, if you need anything, let me know. Glad you finally got there! She looks good great! Blessings and continued prayers for you all! KKI is the answers to your prayers!